4 Nights stay at 5* hotel. Satisfy your wanderlust with a 5-day holiday in the exclusive Egyptian resort town of Sharm el-Sheikh. 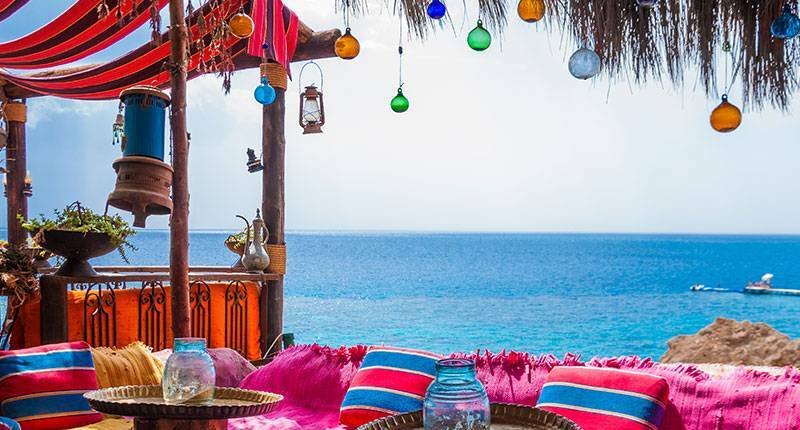 Known for its fantastic diving in gorgeous Red Sea waters, you can enjoy quiet time on the beach, explore the national park, & relax in the laid-back atmosphere. Our offer includes 5* hotel stay, full day snorkeling tour, daily breakfast & more. Book today for the unforgettable adventure! Travel Validity: 1st May 2019 to 3rd June 2019. Hotel Name: Sheraton Sharm Hotel or similar. Price per person on double sharing: 2,600 AED. Upon arrival, meet our representative and receive assistance at Sharm El Sheikh Airport. Once done, you'll be transferred to the hotel so you can relax and wind down after your flight. Free day at leisure to enjoy the hotel amenities, or take part in some of the activities on the short list offered by our team in resort. The resort town has long natural beaches and calm natural water for you to relax, and you can also check out one of many nightclubs later. Gear up today for a full day snorkeling tour onboard a boat around Tiran Island in the Red Sea including lunch. Over 250 different coral reefs and 1000 species of fish make this experience truly one of its kind. Get adventurous- youâre free at leisure to enjoy the hotel amenities, or participate in some of the activities on the short list offered by our team in resort. Have a delicious breakfast in the hotel, check out and transfer to Sharm El Sheikh Airport for your final departure. Rates are starting from and valid till 2 days prior to travel, subject to availability. Rooms and flight fares are subject to availability at the time of confirmation. 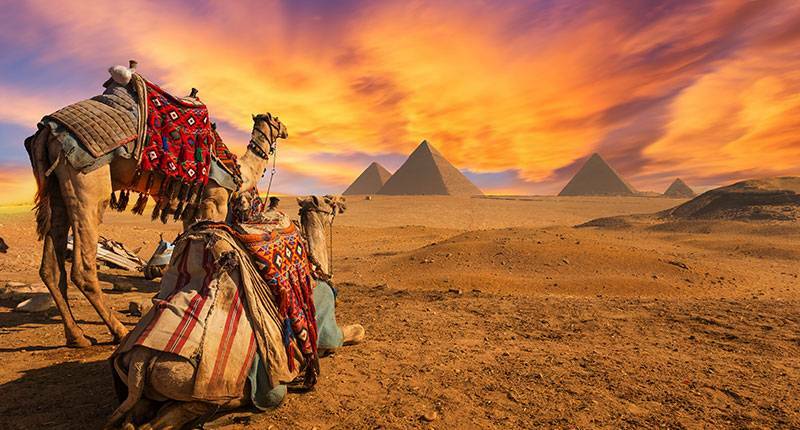 For most, Egypt conjures up vivid images of ancient pharaohs, stunning pyramids, majestic ruins, and vast deserts. Few ancient civilizations are as iconic and as fascinating, and Egyptâs enduring appeal can be fully grasped when standing before the Pyramids of Giza, exploring the ruins at Luxor, or even marveling at the immense collection of priceless artifacts at the National Museum. 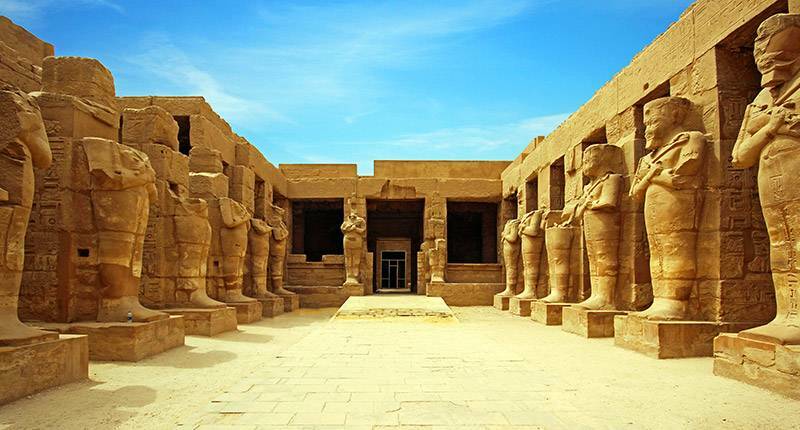 Talk to us about our Egypt tours and tour packages, and set off to the land of Pharaohs. Language: Arabic, but English is also widely spoken and understood in tourism hubs. Currency: Egyptian Pound (EGP). ATMs are widely available, and high-end hotels, restaurants and shops will take credit card. Plug Sockets: Egypt uses plug sockets C and F, which are the round two-pronged plugs, so you will need an adaptor. The standard voltage is 220V and the frequency is 50 Hz, which is the same as UAE. Getting Around: Trains are the most comfortable and efficient option, and the best way to travel to places like Alexandria and Luxor. All carriages are air-conditioned. Buses are cheaper and less comfortable, but still a good option for travel throughout the country. Renting a car is not advisable, especially for driving around Cairo, however drivers for the day can be hired quite cheaply and are a good, flexible option. Agree on a rate at the beginning of the day. Please note that some areas of Egypt, particularly the Sinai Peninsula in the east of the country and a large portion of the West, are not currently considered safe for travelers. The main tourist attractions of Cairo, Giza, Alexandria, and Luxor are not currently affected, although there has been political unrest in Cairo in the past few years. The most popular time to visit Egypt is during its traditional tourist season of November to February. During this time, the weather is pleasant throughout the Nile Valley, however Cairo can be a bit chilly. Tourist sites like Luxor and Aswan are busiest in December and January, but otherwise not too crowded. Springtime (March-April) and autumn (September-October) are also a good times to visit, with pleasant weather throughout most of the country and less crowds. It starts to get hotter in May, but temperatures remain comfortable and seaside resorts begin to fill up with domestic tourists escaping the heat. During the summer, the heat can be oppressive, with sightseeing activities reduced to early morning or evening to avoid the worst of the sun. It is however not a bad time for a seaside resort holiday, although expect to pay more. Note that many businesses close during the day throughout Ramadan, which will also impact tourism. 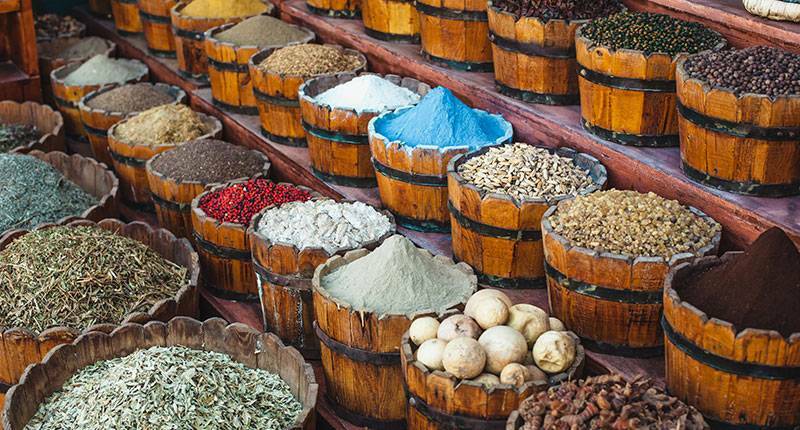 Egyptian food is simple, based on heavy use of vegetables and legumes as well as some meat. It is similar in its flavors to the food of the Middle East, but with a few differences in ingredients. 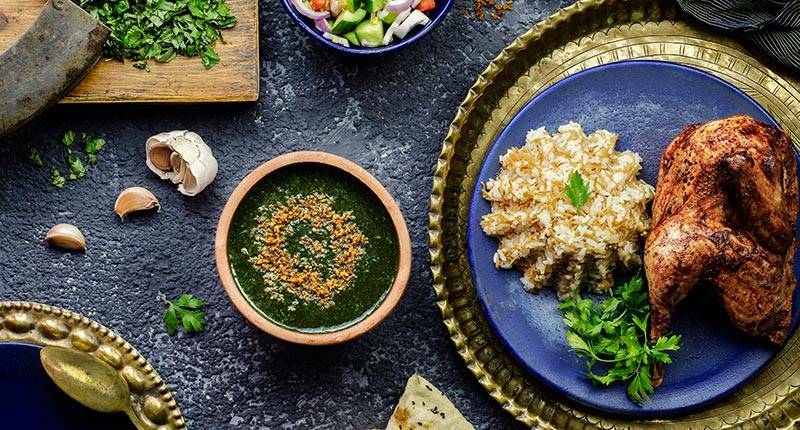 For instance, a quintessential street food is taâmeya, a food similar to the Middle Eastern falafel but made with fava beans instead of chickpeas. Like most countries in the region, grilled skewered meats (kebab wa kofta) are also popular and commonly eaten with flatbread (baladi), salad and dips. Another staple dish is ful medames, a dish of slowly stewed and spiced fava beans. Kushari is considered by many the national dish, a unique mix of lentils, rice, and pasta covered with a spicy tomato sauce and crispy onions. In terms of meat dishes, spicy sausages and liver are popular, as well as hawashi, a âmeat pieâ made of spicy minced meat stuffed into baladi bread and baked. In seaside cities like Alexandria, the cuisine is of course more fish-based: one popular dish is sayadeya, consisting of white fish baked with rice and a tomato sauce in an earthenware pot. Egypt is one of the worldâs earliest civilizations, dating back to before 3,000 BC. Egyptian culture has long held a fascination for many people, dating back to the ancient Romans and Greeks who were some of the first people to visit the country for sightseeing purposes. The most famous aspects of traditional Egyptian culture are its former royals, the Pharaohs, who occupy a unique place amongst the rulers of the old world. 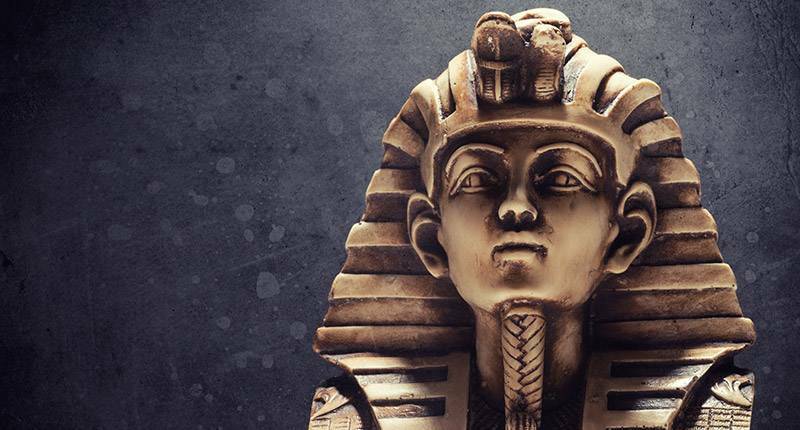 They are known for their lavish palaces and extravagant tombs, and figures such as Ramses II, Tutankhamun, Nefertiti, and Cleopatra have become some of the most prominent and famous names associated with antiquity. Egypt was one of the first civilizations to develop a style of visual art, immediately recognizable for its flat perspective. Egyptian was also one of the first written languages, and is most famously known for its hieroglyphic texts based on imagery rather than letters, often written on papyrus, a precursor to paper. Whilst the ancient culture of Egypt is its most iconic feature, modern-day Egypt also has a flourishing cultural scene of art, literature, music, and cinema. 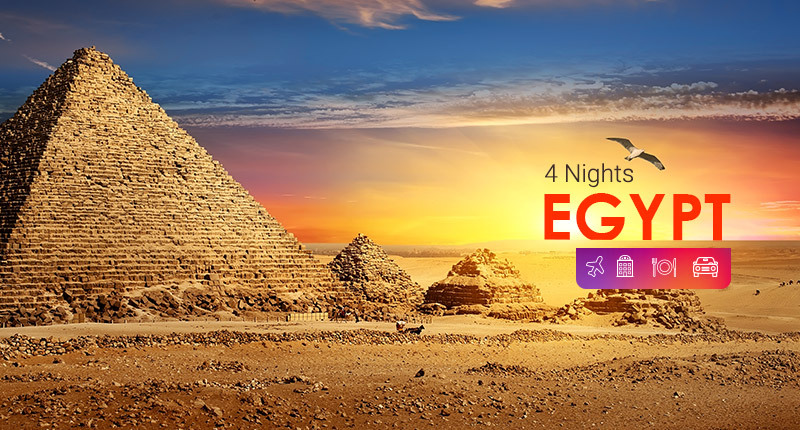 The main attractions in Egypt are the remains of the countryâs stunning ancient history, most notably the iconic Pyramids of Giza, the only remaining of the Seven Wonders of the Ancient World. Set near Cairo and guarded by the famous sphinx, they are an unmissable step in any touristâs visit. Another key site is Luxor, the site of the ancient city of Thebes, which includes such sights as the Valley of the Kings and Karnak Temple. A mix of lively modern town with breathtaking museum, all set by the banks of the Nile, Luxor is one of the most fascinating visits in the world. Another attraction imbued with ancient history is Alexandria, formerly one of the most powerful cities the world and now Egyptâs second largest metropolis. 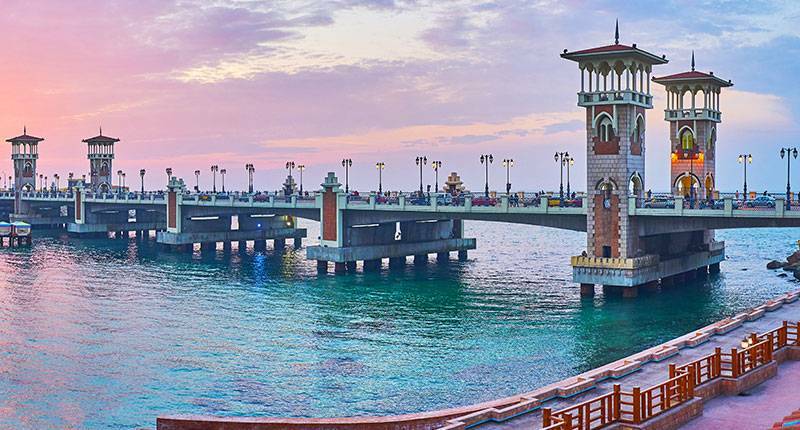 Although it has some good museums and the library - spiritual successor to the greatest and largest library in antiquity - is worth a visit, Alexandria now shines through its bustling city life and pleasant coastal waterfront. Aswan is a small town on the banks of the Nile, famous for being a great spot to take a break from Egyptâs big cities and crowded tourist attractions. 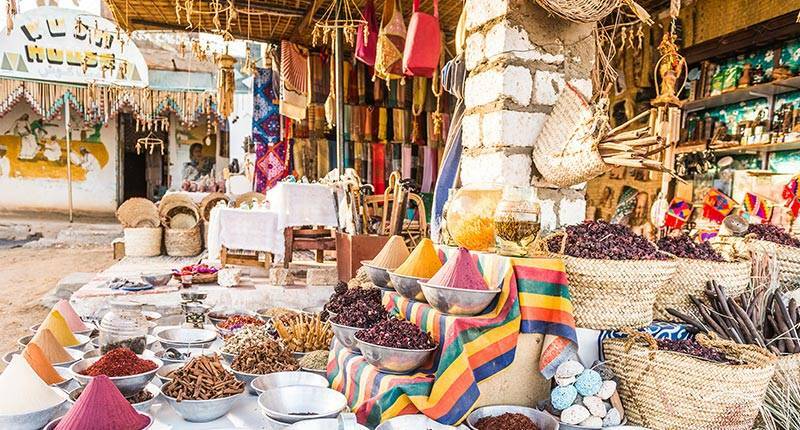 There are many attractions surrounding Aswan, from temples to Nubian villages to Elephantine Island on the Nile, though many find the best thing about it is relaxing and watching river life unfold. 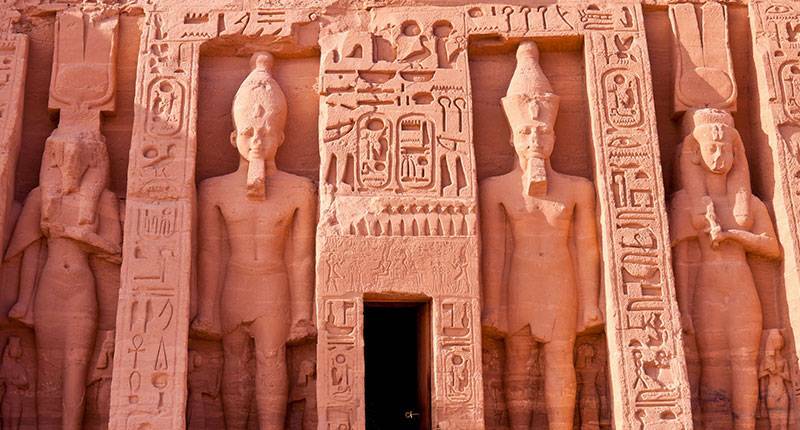 Further down the river, Abu Simbel, Ramses IIâs great temples, are yet another ancient wonder to behold. Egypt has a varied climate and landscape, with the fertile lands surrounding the Nile bordering on arid desert on both the eastern and western sides. In the Nile Valley, birds are abundant, including eagles, hawks, flamingoes and pelicans. Over four hundred species of birds have been recorded in the country, and with the countryâs location in the middle of various major migration paths, many can be seen flying over twice a year. Whilst both deserts share some similar wildlife, such as desert foxes and small rodents, some species are specific to each one: you can find gazelles and sheep in the Western Desert, whilst the Eastern Desert is home to hyenas and ibexes. Egypt has about thirty species of snake, almost half of which are venomous - including the Egyptian cobra and horned viper - and the Nile and Delta are home to over a hundred species of fish. If you are going during the high season in the winter, you should pack for summer but with a few warmer jumpers or jackets, as both Cairo and Alexandria can get chilly and drizzly. During the rest of the year, the heat is pretty consistent, and light, loose-fitting summer clothes are best. If you are visiting during the height of summer, bear in mind temperatures will be extremely hot, so make sure you are comfortable and protected from the sun: loose, light materials which cover the skin but leave breathing space are the best option. Citizens of UAE do not require a visa to visit Egypt for a period of up to three months.